You thought your school was tough? 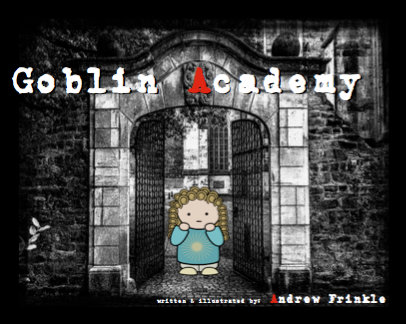 What if you went to the Goblin Academy, where you studied to be the nastiest little monster you can be? Get a tour of the facilities, learn about the path to becoming a mean little creature, and try not to lose any fingers! As an added bonus, at the end you can illustrate 8 of your own monstrous pages! 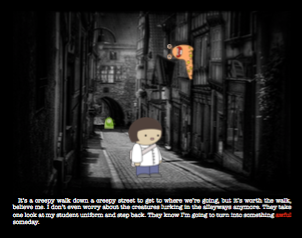 Walking to school is hard when monsters lurk about. But you go to the Goblin Academy. No one wants to ride the bus, not even monsters. It's just not cool. It's hard to find classes when every other door is a monster's room.